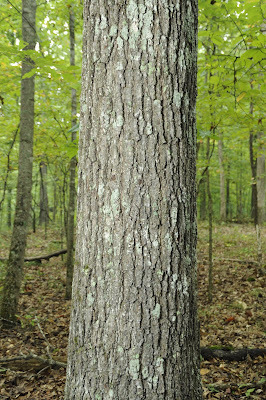 Black Oaks are members of the Red Oak family and can be difficult to distinguish from related oak species. They are medium to large-sized trees that typically grow on north or east-facing upland ridges. They prefer sandy to clayey soils and are often found growing with red oaks, white oaks, and hickorys. 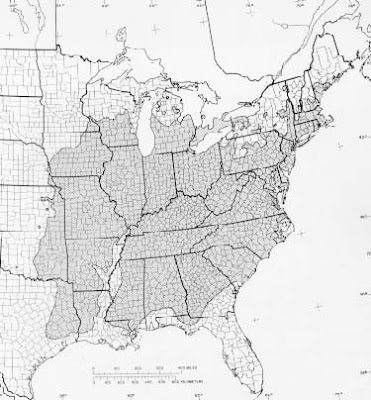 Their range extends from Southeastern Maine, west to Iowa, and as far south as the Florida panhandle. Black oak bark is dark grey with relatively uniform ridges. It is rather nondescript without any striking characteristics like the scaly bark of a white oak or the shiny vertical stripes of a northern red oak (which has similar leaves). 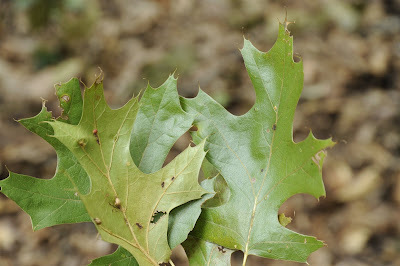 Black oak leaves are 3 - 6 inches long, with 7 - 9 sharp-pointed lobes. They are shiny green above and yellow-green with brownish hairs below. 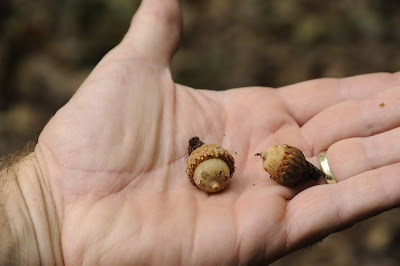 Like all members of the red oak family, black oak acorns take two years to mature. They can be recognized by the caps which cover approximately one half of the nut and which end in loosly overlapping scales that have a brushlike texture. When fully mature, both caps and nuts are light brown.